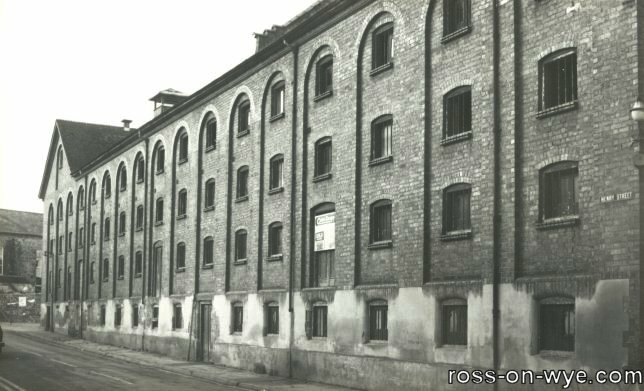 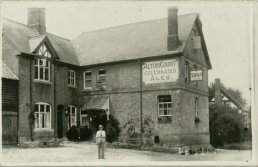 The Alton Court Brewery was developed by Joseph Turnock (who also held the lease for ACBC [Alton Court Brewery Company] Aerated Waters Ross) and this was the largest brewery in Ross. 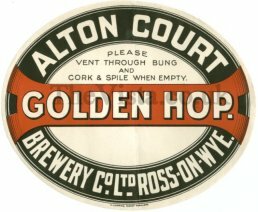 In 1876 the chief brewer was James Turnock [ more ] and it brewed the "Alton Court" family ales along with various others. It closed in 1956 after it was taken over by Stroud Brewery and the site is now used as a retail outlet by Somerfield Supermarkets. The brewery filled nearly the whole length of Station Street on both sides and some of Henry Street. The building seen in the photo to the left and the one above were the Malt House. Next door to the Malt House was SHACS (South Hereford Agricultural Co-operative Society Ltd) depot which sold animal feeds etc. 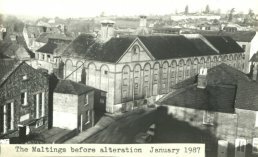 During the changes, in 1992, when the Malt House was converted into the Maltings, the SHACS depot was demolished to make room for the rear access to the shops. 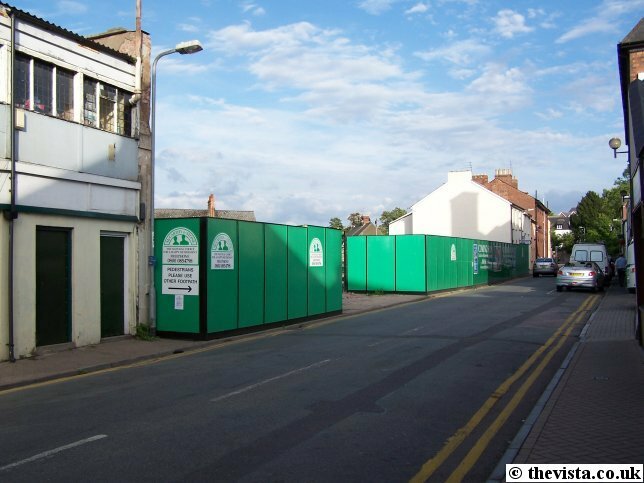 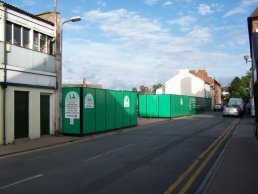 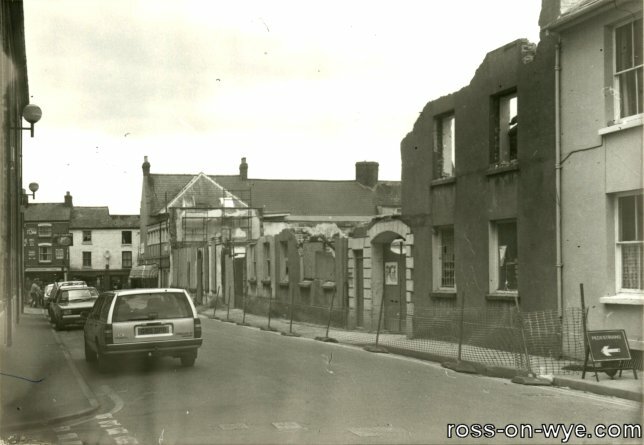 The actual brewery building has been knocked down and was in the space behind the green fence where McCarthy and Stone are building yet more retirement flats in Ross. 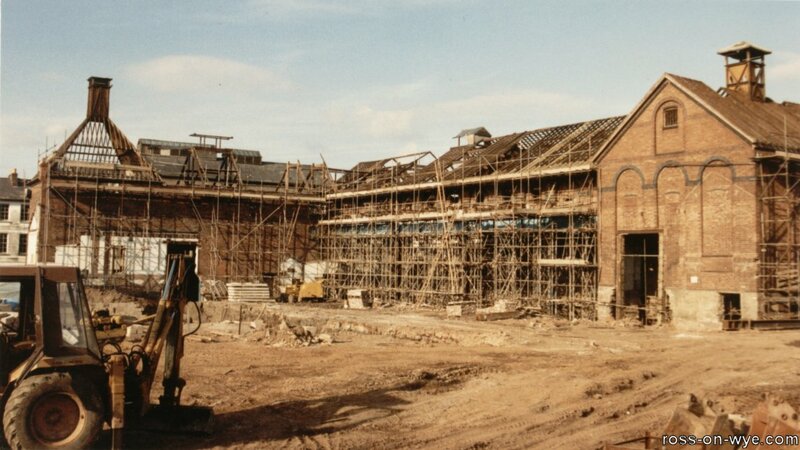 In April 1992, the first parts of the Brewery building were demolished. 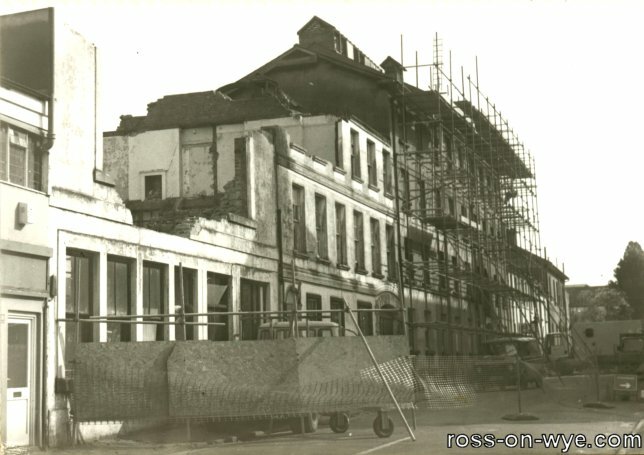 Following this various parts were demolished until in late July the site was cleared. 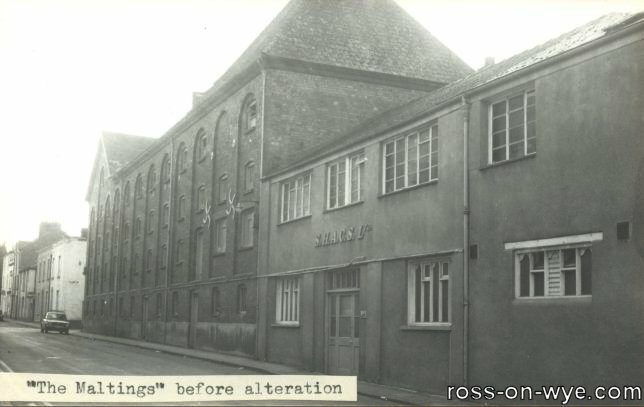 This building, that is now Fritz Fryer Antique Lighting, was the bottling plant. 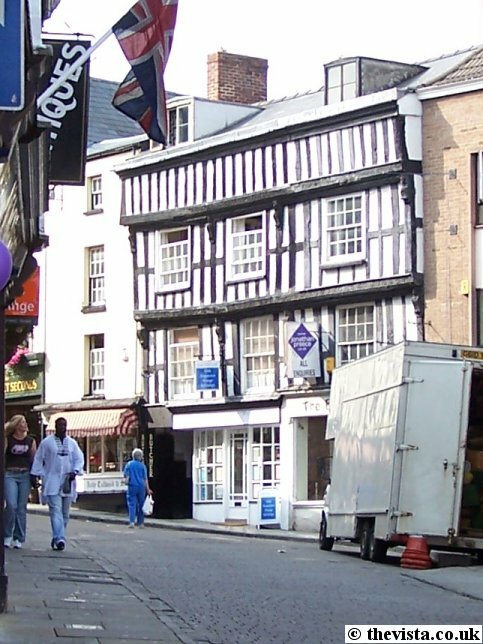 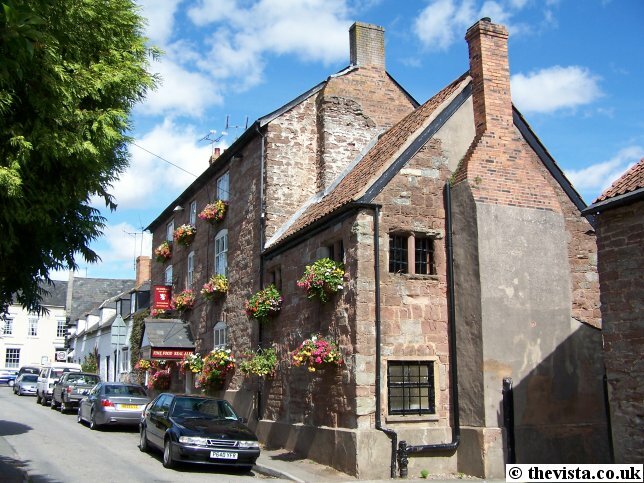 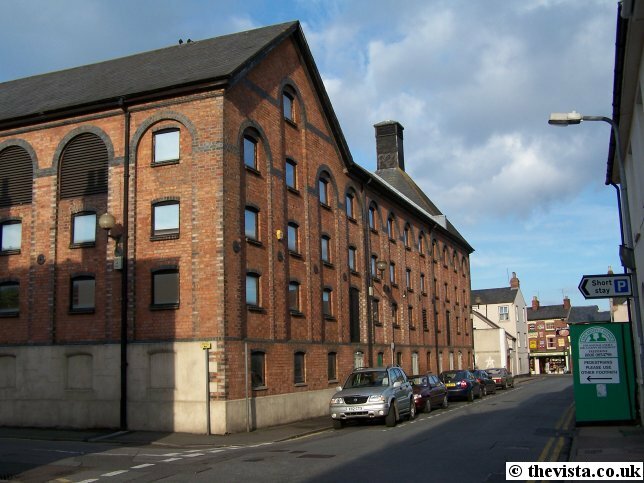 This building, that is now Terry's Digital Ltd, was the brewery tap house. 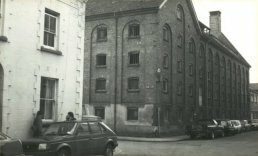 The tap house was more like rather an off-license than a pub where the towns folk could buy the beers etc brewed at the brewery. 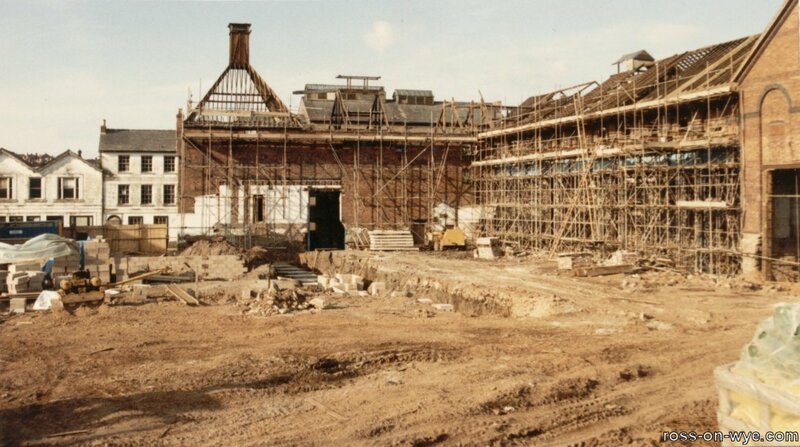 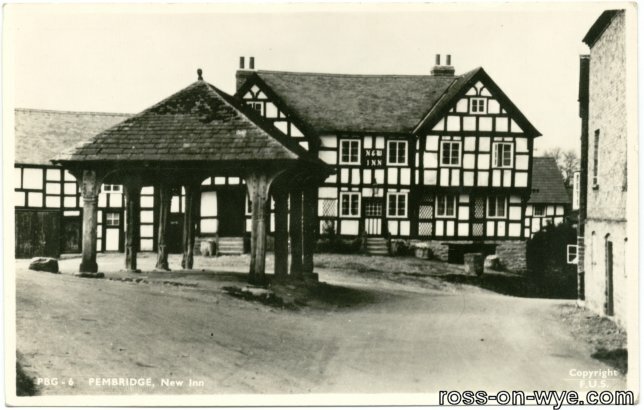 The tap house was the left hand single story part whilst the right had side was living quarters for the staff. 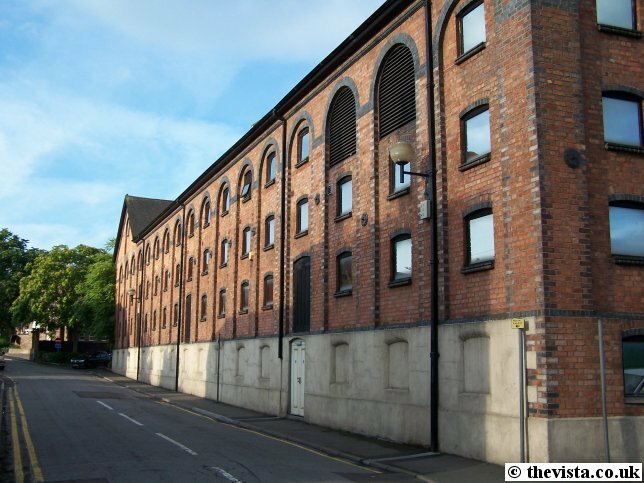 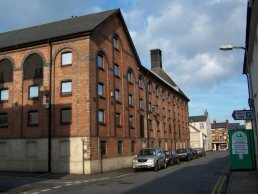 This building that is behind Terry's Digital Ltd, was the building used by the cooper for the brewery. 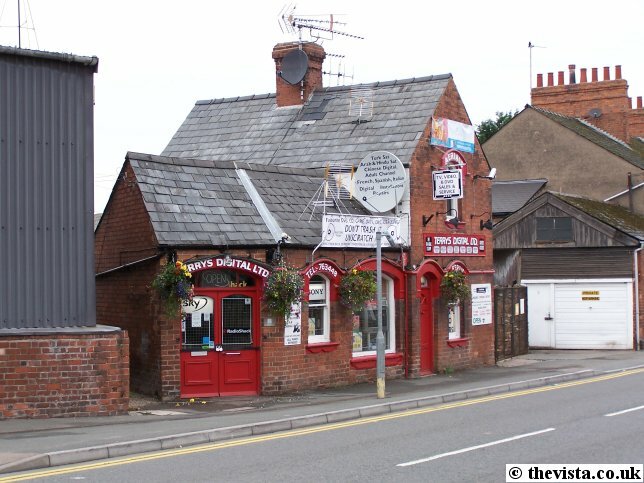 Coopers are often known as "barrel makers" but this is not strictly true. 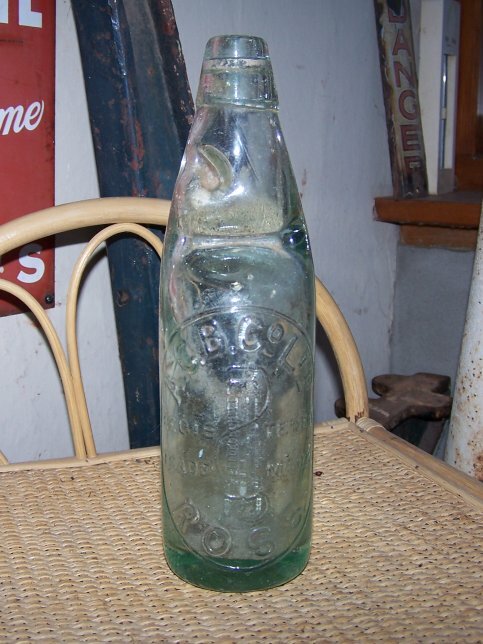 There are many kinds of coopers for making anything from packaging for tobacco to buckets and pails. 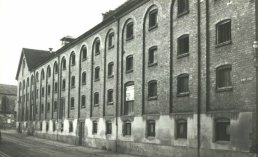 One who makes barrels is what was known as a "tight cooper." 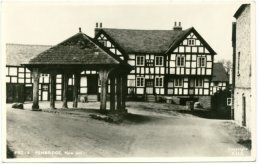 The tight cooper assembled clear white oak staves split from the dense centre of a tree. 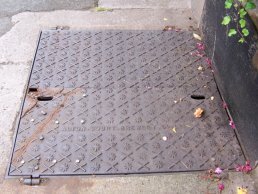 He would fit the staves one to another, and bind them with iron bands to make casks for liquids. 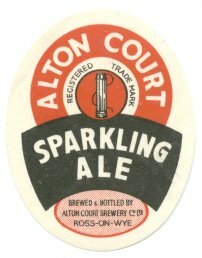 This label, printed by W.J. 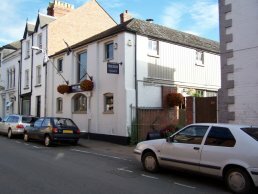 Cummings, Bishop Auckland, is from a barrel of 'Golden Hop' which was brewed at the Alton Court Brewery. 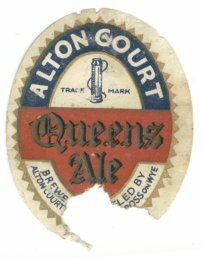 These are labels for Sparkling Ale and Queens Ale both of which were produced by the Brewery. 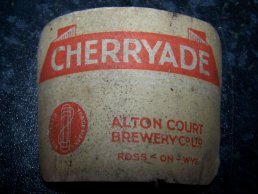 This label is for Cherryade as produced by the ACBC. This label came from a pretty standard, clear, ACBC bottle but the glue had come unstuck just due to age. 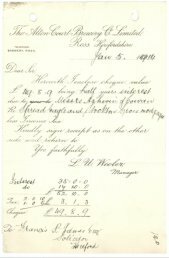 This is a letter from Mr. L. U. Wooler, who was the manager of the Alton Court Brewery, to Francis R. James Esq., who was a Solicitor in Hereford, sent on 5th January 1914. 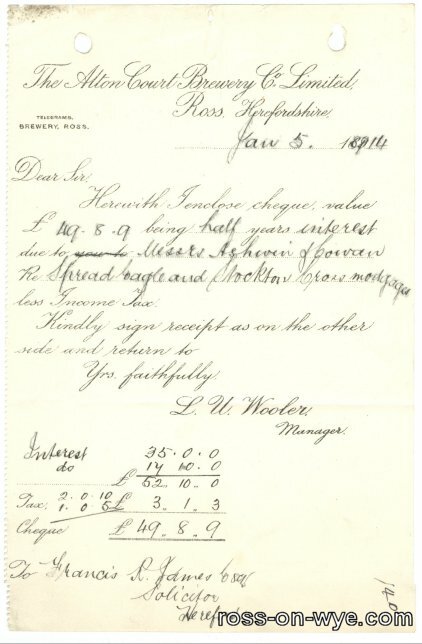 The letter is details of a cheque being sent for 49 pounds, 8 shillings and 9 pence. 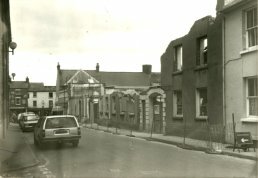 This is "half years interest" due to Messers Ashivin of Corvan relating to the Spread Eagle and Stockton Cross mortgages minus Income Tax. 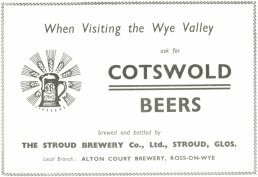 These are several adverts for the brewery taken from guidebooks to Ross or/and the Wye Valley. 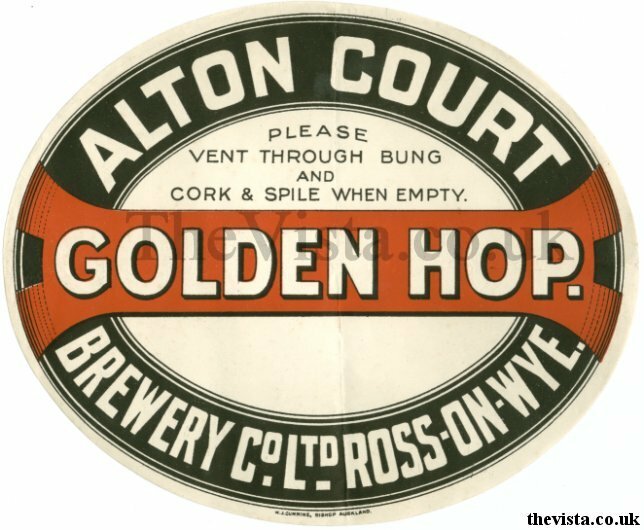 It is interesting to note that the hedgehog has appeared at the top of the advert by 1938. 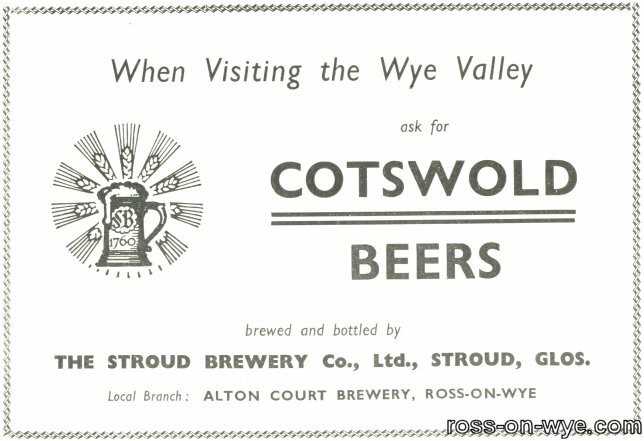 This advert is post take-over by the Stroud Brewery where the Alton Court Brewery is the local branch. Several Pubs and Inns in Ross sold beverages brewed at the Alton Court Brewery and in 1905 the Saracen's Head was one of them, so much so the name across the front of the building was changed from the Saracen's Head to say The Alton Court Brewery Co. 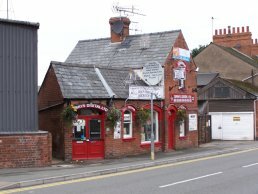 It was changed back probably when the brewery closed. 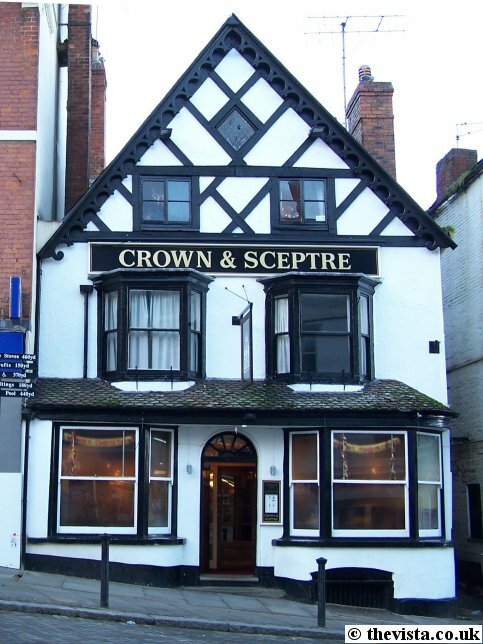 Another place that sold beverages brewed at the Alton Court Brewery was the Crown and Sceptre. It was acquired by the brewery in around 1928 and continued to sell the beer until the brewery closed and then Whitbread took it over. 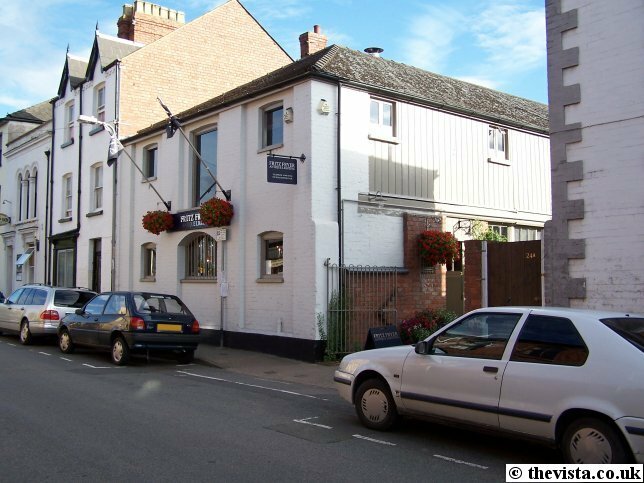 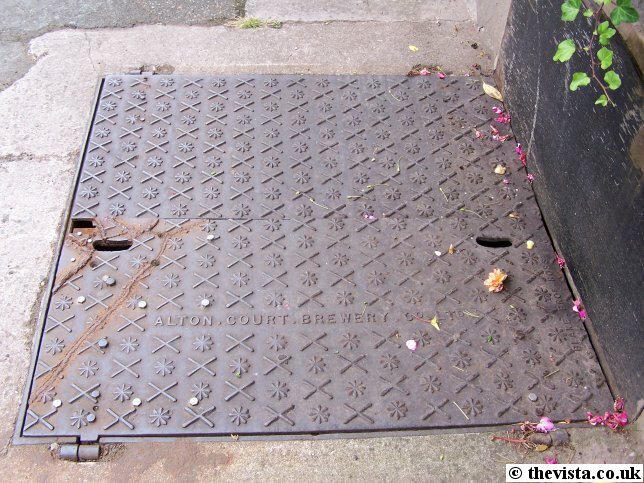 The White Lion at Wilton was also likely to have been supplied by the Alton Court Brewery Company and the cellar cover outside is testament to this. 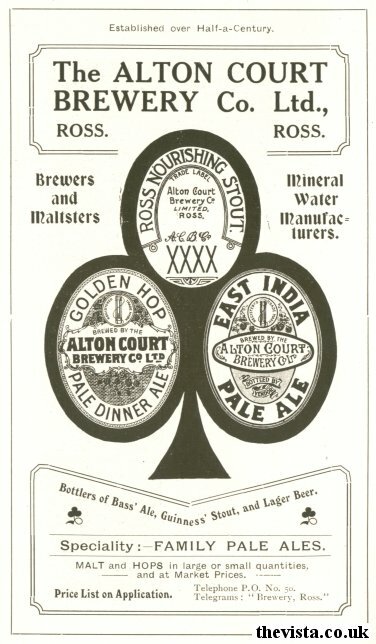 Numerous pubs outside of Ross were known to sell the products produced and brewed by the Alton Court Brewery. 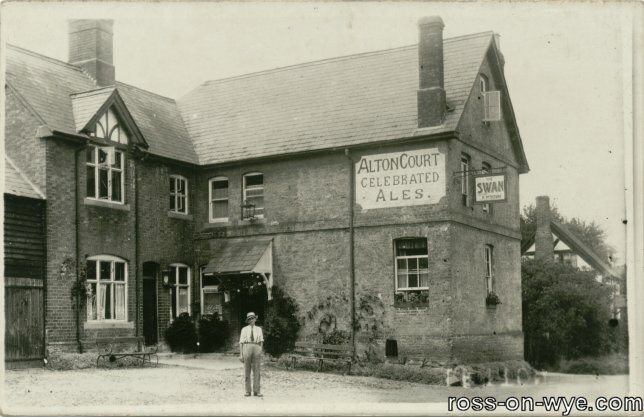 This photo shows The Swan (Prop: N Percival) at Letton who had a large advert for the Alton Court Celebrated Ales painted onto the side of the building. 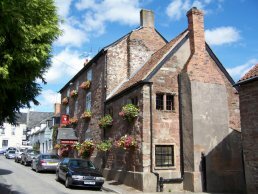 Letton is about 26 miles away from Ross and gives a good indication of the influence of the brewery. 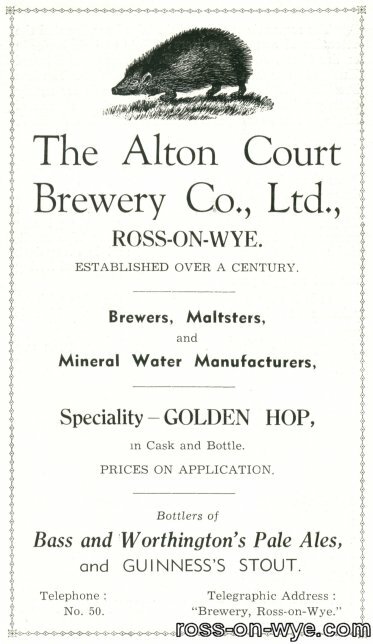 The following are two examples of aerated water bottles as used in the Alton Court Brewery Company. This first example relied on a floating glass marble pushing up against a rubber sealing ring at the top of the bottle neck to stop the water becoming contaminated. 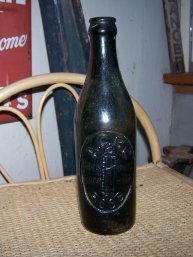 The neck of the bottle is specially shaped to trap the marble so that once the bottle is opened, the marble does not get in the way. 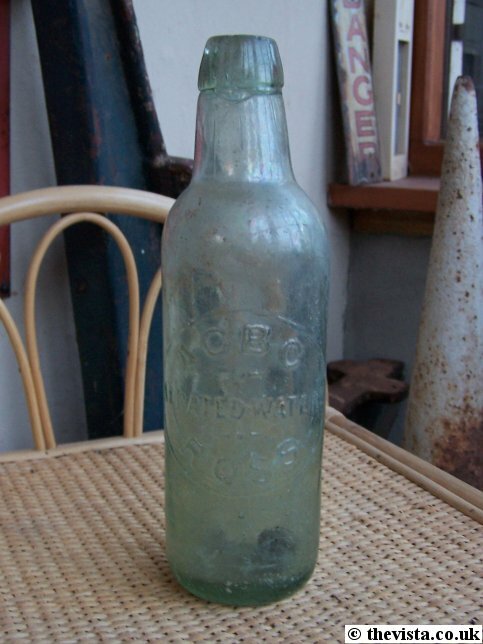 This example replied on a floating cork using it's buoyancy to push it up into the top of the bottle neck to stop the water becoming contaminated. 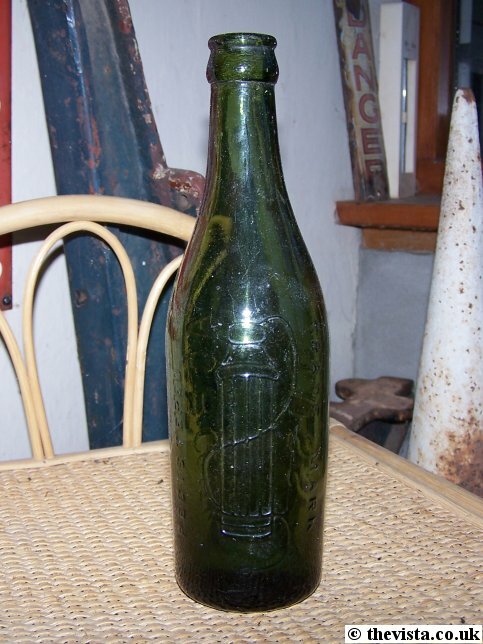 Once the seal was broken by pushing the cork back into the bottle, then the cork floated to the top hence it did not get in the way when the liquid was poured out. 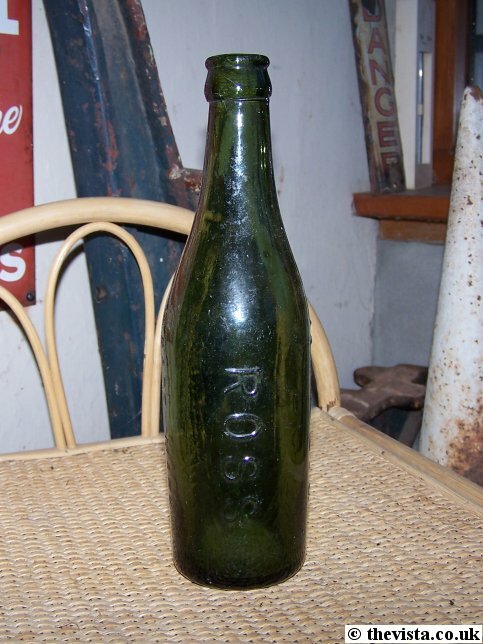 In this bottle, the cork can still be seen in the bottom of the bottle. 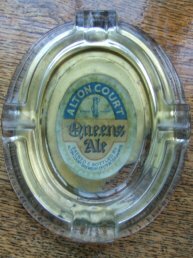 These are two examples of beer bottles as used in the Alton Court Brewery. 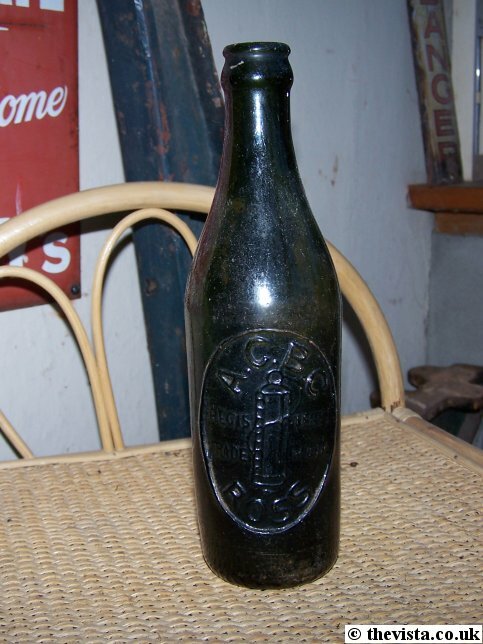 This first example is a pretty standard style of bottle with the brewery mark and name in one area. 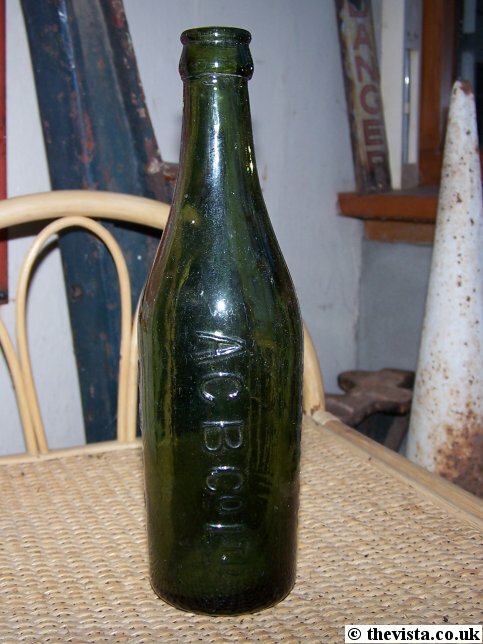 This example has the ACBC logo all around the bottle. This is an ash tray advertising Queens Ale. 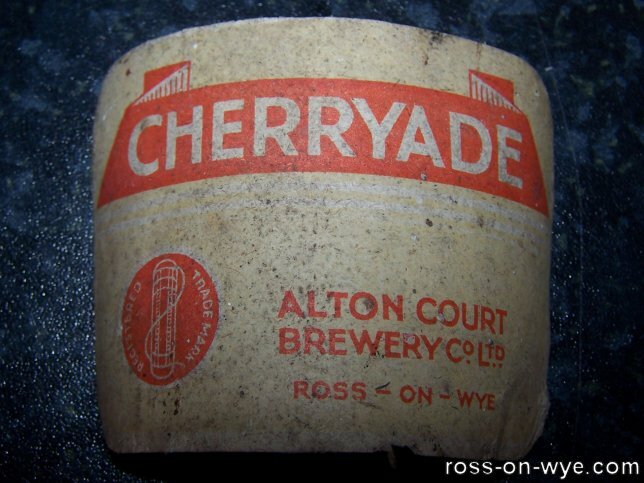 The label has been stuck to the bottom of it then the bottom the ashtray was painted with a protective coating to help prevent the label being removed. 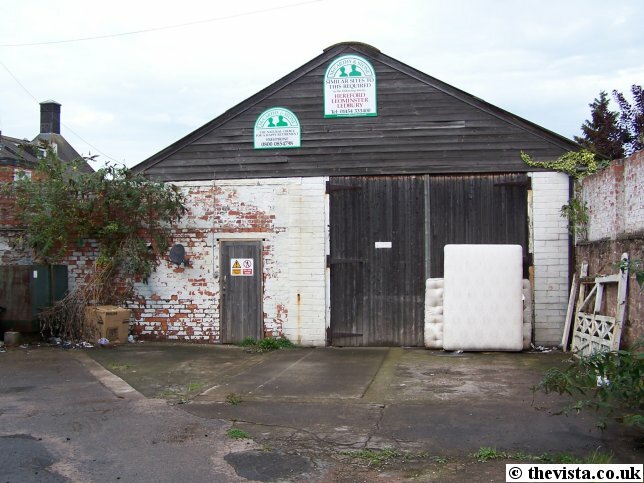 This also helps to emphasize the advert. An ash tray advertising "Queens Ale"
These are several views of the Malt House prior to redevelopment in 1987. 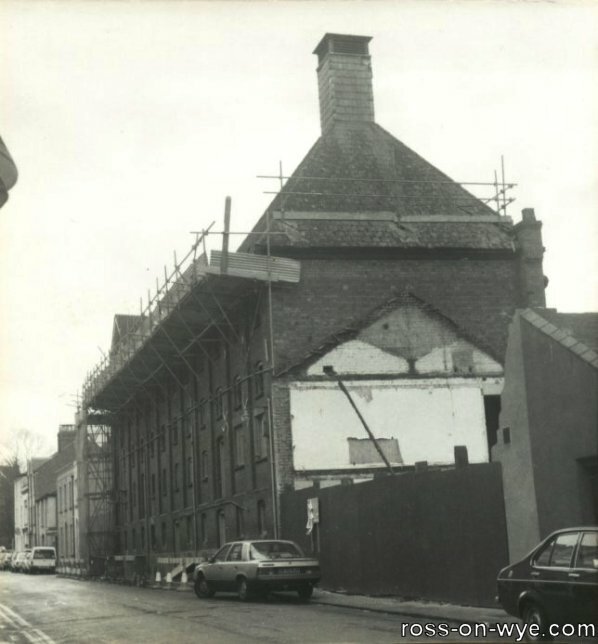 These photos show the redevelopment of the Malt House when it was converted into Gateway's supermarket (subsequently this became Somerfield and then Sainsbury's [which opened on Wednesday 15th Jult 2009]) and the Maltings shopping centre was also built as part of this redevelopment.